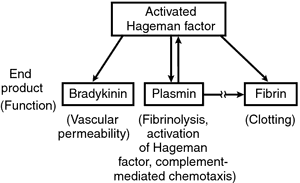 abbreviation for von Willebrand's factor. A protein found in the blood that is involved in the process of blood clotting. hepatitis and HIV), the recommended replacement therapy of choice is Humate-P[R] or other factor VIII concentrates with significant amounts of VWF (74). In this study, we have shown that the analytical variation of routine hemostasis tests that are used in the diagnosis of thrombosis and bleeding problems (PT, APTT, fibrinogen, protein C, protein S, AT, and VWF assays) fulfills the criteria defined by the biological variation approach, both for diagnostic testing and for the monitoring of treatment. Several binding sites have been identified in the VWF subunit (Figure 1). Persons with levels of 30 to 50 IU/dL may need agents to increase VWF levels during invasive procedures or childbirth. Levels of payment for various degrees of crippling VWF have been set, ranging from PS5,000 to PS41,085. Made in cells that form the inner lining of blood vessels, VWF circulates in the blood seeking out sites of injury. Joern Achim Kurzrock, chairman of the board at the Indian unit of the company, said, 'India being one of the fastest-growing economies, VWF India wants to present itself in the Indian market as a mobility provider with products which fully respect the needs of VW, Skoda and Audi customers. Dr Berntorp discussed how OctanateEeA provokes less of an inhibitor reaction compared with recombinant FVIII products, by virtue of VWF protection of particular FVIII epitopes. You can imagine my delight when I received a newsletter from my trade union the following week, informing me that "over the last 11 years, the Government has taken billions of pounds out of miners' pension schemes" and "disgracefully, this money has, in the past, been used to pay for the miners' own compensation for chest and VWF disease". The councils didn't think it would happen with asbestos or VWF, but the sooner these crazy lumps of tarmac are ripped up the better for everyone. The number of claims greatly exceeded the department's initial forecasts of 173,000 COPD and 45,000 VWF claims.